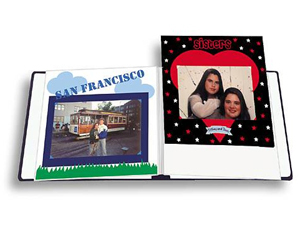 These 12x12 acid free sheet protectors fit all 12x12 Pioneer Memory Books or Pioneer 12x12 3-Ring Memory Binder. 100 sheets per pack. Now you can save on this bulk pack of 12x12 acid free sheet protectors. Fits all 12x12 Pioneer Memory Books or Pioneer 12x12 3-Ring Memory Binder and most 2 hole post, 3-ring or strap style scrapbooks including Webway, Creative Memories and others. Note: We recommend using 11-7/8" height paper with these pages. 12" paper may extend slightly beyond the top of the pocket. For the same item with paper inserts and extension posts see Pioneer Memory Book Refill Pages.